It won’t be any surprise that I am in favour of gun control, in the US and elsewhere. I don’t propose to set out the arguments here. But economists have made two interesting suggestions in recent weeks which are well worth considering. First, Nouriel Roubini has suggested that to the extent that private ownership of guns is allowed, gun owners should be required to take out insurance for third-party liability. This would recognize that a person’s decision to hold a gun has implications for others in society. Economists Philip Cook and Jens Ludwig have estimated that the social cost of one more gun-owning household is somewhere between $100 and $1800 per year. It would be for insurance companies to set an appropriate premium for each gun-owner, reflecting their assessment of the risks; but if the true social cost of owning a gun is of the order of $1000 a year, and gun owners actually had to bear that cost, that might lead many fewer people to buy guns. This elegant application of the ‘polluter pays’ principle would reduce gun ownership without breaching the Second Amendment, and if insurance companies do their job well it would target the highest risk gun owners. 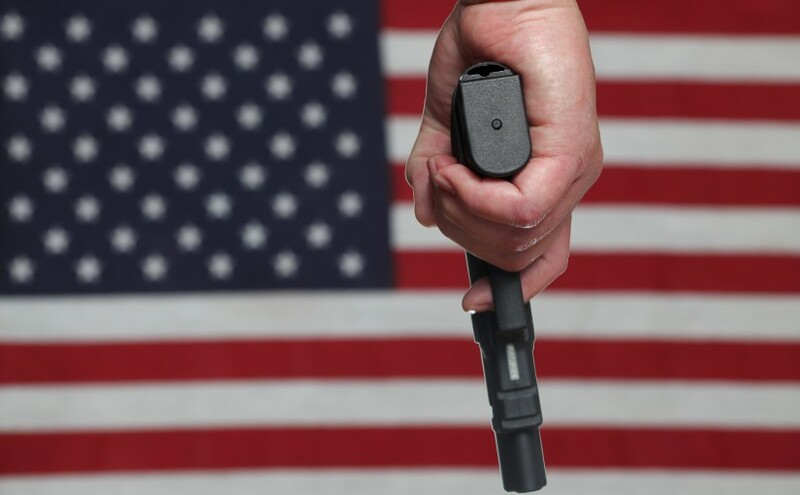 Second, economists Ethan Bueno de Mesquita and Jens Ludwig have suggested a brilliant approach to reduce the political power of the National Rifle Association. They propose the establishment of a new fund with a single purpose. For every dollar the NRA spends in helping a political candidate, the fund would spend $2 to help the opponent (whether in a primary race or general election). The fund would raise money from public subscriptions – it would need to be of the order of $50m in an election year to double-match the NRA. Such a fund could change the calculus for a candidate who today feels the need to seek the support of the NRA, in order to obtain cash contributions or in-kind support – they may feel in future that courting this kind of support will do them more harm than good. This idea might have other applications for breaking the grip of powerful lobbyists, such as oil companies or the big copyright holders. – is there sufficient goodwill and resources on the sane side of the argument to match and double NRA funding? Wikipedia suggests NRA income and assets are both over $200m so it’s on-trivial. Also – what do you do if it’s not a two-horse race and there are several non-NRA-affiliated opponents. the NRA spent about $20 million on political activities in the 2012 election cycle; including a little more than $1 million on direct campaign contributions and around $8.5 million on independent campaigns in support of congressional candidates. This might sound like a lot of money, but it is equal to only about 2% of what Obama raised in 2012 and less than one-tenth of one percent of the net worth of the NRA’s most vocal critic: New York City Mayor Michael Bloomberg. Super blog. You’re replacing failed ‘the policy is the outcome’ with ‘the policy is the incentive system to get the outcome’. Roubini’s insurance system has a missing bit. We should think what to do with the mountain of insurance premiums. Basic options are: 1, to payout post-damage for claims to a fund after the bullets do their work; or 2, to payout preventively for applications to a fund for work on a non-violent society; or 3, give it to government and cross fingers that they can use it wisely. Roubini’s idea is fascinating, but it faces the same political hurdles as passing any gun control legislation. The double-fund is also interesting, but it depends on an anti-gun lobby to have as much financial support as the pro-gun lobby. We know that’s not the case. Expanding beyond gun control issues to address all powerful lobbies would suffer from the same problem — unless the fund received government support. That general solution is known as “Clean Elections” laws (aka Voter Owned Elections, aka public financing of elections).